Staff at Wildwood, Kent's unique British Wildlife park and conservation charity, are getting into the Christmas spirit with the arrival of two stunning reindeer. The festive pair, a mother and daughter from the West Midlands Wildlife Park, are the latest additions to Wildwood's extensive collection of native and once-native British Wildlife. 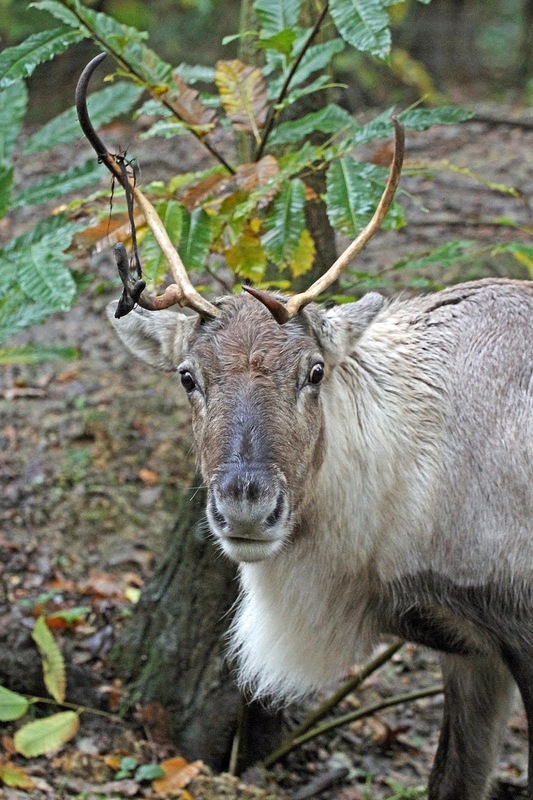 Peter Smith, Wildwood's chief executive said "We are delighted to have reindeer at Wildwood; they are a fine example of a once-native animal that has been lost to the UK. We hope they will both delight our visitors and inspire them to help us in the fight to save our native wildlife." The mother is a four year old called Holly, whilst her daughter is yet to be named. Wildwood will be asking their supporters to choose a suitable name for the youngster, although given the yuletide theme, staff suspect that this may be a forgone conclusion! Reindeer lived in the UK until around 8000 years ago before becoming extinct, most likely due to hunting pressure and climate change. Today the only wild reindeer in the UK are to be found in the Cairngorms, where a herd was re-introduced in the 1950's. Globally, reindeer numbers have dropped nearly 60 percent in the last three decades due to climate change and habitat disturbance caused by humans. Wildwood hopes that the new arrivals will not only spread some festive cheer with visitors this Christmas but will also act as a reminder of the importance of wildlife conservation. Reindeer are just one of the huge range of British animals that can be seen at Wildwood, Kent's unique British wildlife park and conservation charity. Wildwood is an ideal day out for all the family where you can see British Wildlife past and present, set in 40 acres of stunning ancient woodland. Wildwood offers its members and visitors a truly inspirational way to learn about the natural history of Britain by actually seeing the wildlife that once lived here, like the wolf, beaver, red squirrel, bison, elk, wild boar and many more. 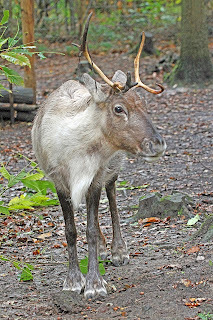 The reindeer at Wildwood can be photographed or filmed by professional crews by prior arrangement, more stills or broadcast quality video can be provided on request. Once found across Europe reaching as far south as Spain, reindeer are now mainly found in North America, Alaska, Canada, and Northern Europe. Reindeer are the only deer species where both the male and the female possess antlers. Male reindeer shed their antlers at the end of the mating season in early December, whereas the females keep them until the spring. This leads experts to suspect that Santa's flying squad may actually be an all-girl team, but as his reindeer have magical powers, this remains to be proved. Most reindeer can't fly, but they can run at speeds of up to 48mph. Reindeer were built for the snow and cold. When temperatures plummet, they have the ability to lower the temperature in their legs to near freezing levels. This keeps their core body heat even. 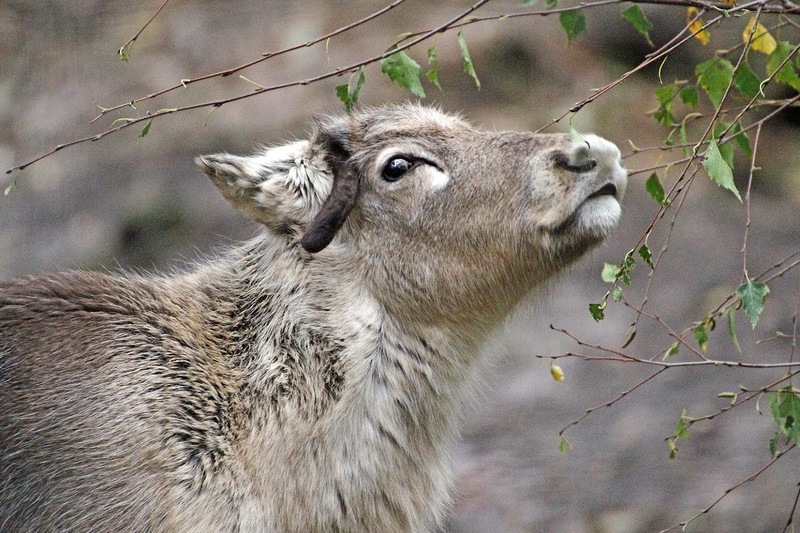 Reindeer are excellent swimmers, thanks to their buoyant, air filled coat. 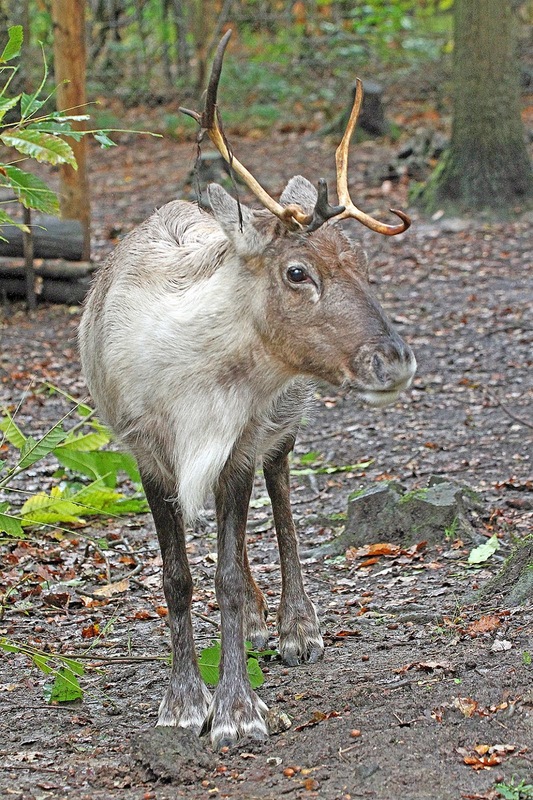 As reindeer walk, they make a characteristic clicking sound caused by a tendon in the foot slipping over the bone. This allows them to find each other even in a white-out blizzard.